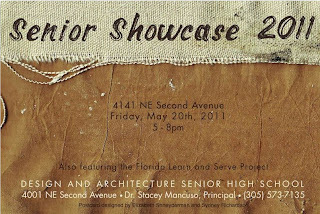 After six months of designing, cutting and stitching, seniors at D.A.S.H. 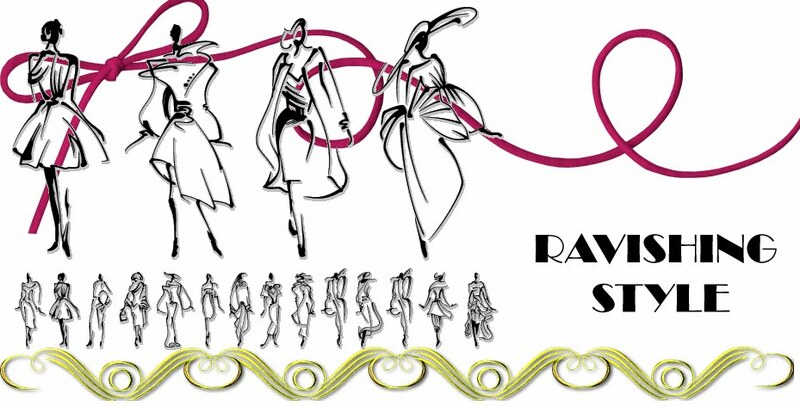 will unveil their collections Saturday night at the school’s annual fashion show. Giorgia Iazeolla, 17, left Rome in 2000 when she was 6. After a short stint in West Africa, she and her family moved to South Florida in 2003. Since then, the senior at the Design and Architecture Senior High School has combined her love of all things Italian with her passion for fashion design. 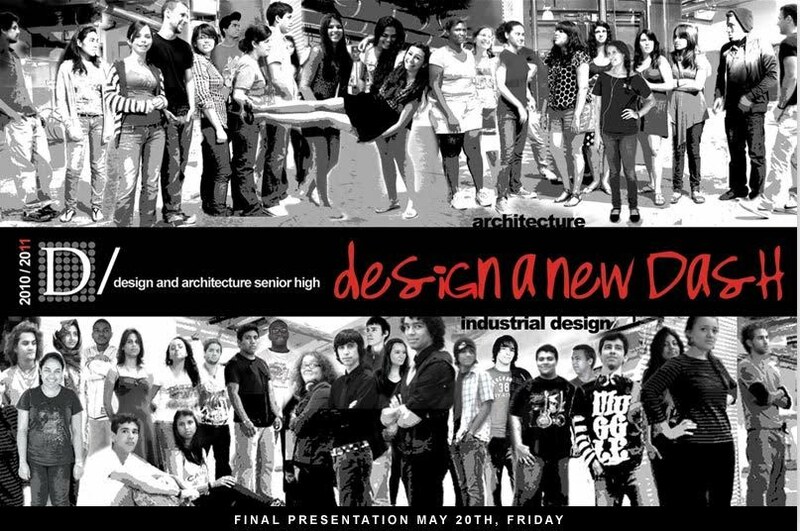 The young Italian designer will be among the 30 students at DASH who will present their designs at the annual Senior Fashion Show on Saturday, a six-month project in which the students, all seniors, design their own patterns, buy their own fabrics and produce a show that resembles the runways of New York. Or Milan. Her fabrics of choice: Chiffon, organza, silk and tulle. The students began putting their collection together at the end of January. The senior collection is made up of 30 students, each responsible for producing three to five designs on their own. They are graded on their creations. This year, all the fashion looks are for women, with the exception of one student, Hillary Chandler, who is designing a children’s collection. A few of the students, such as Lucia Sanchez, 18, are channeling powerful women, using materials such as leathers, woods and molded plastics. “The idea is to show femininity in a strong way,” she said. The designers’ styles are coming from all directions, from relaxed, urban wear to haute couture. Students will be conceptualizing wearable art, using materials aside from typical fabrics. Some students bought alternative textiles from places such as Home Depot. Partners Helen Su and Karla Nunez will incorporate parts of shoes that were donated to the program. The school has been holding this event for the senior class since it first opened; this year it’s celebrating its 20th anniversary. 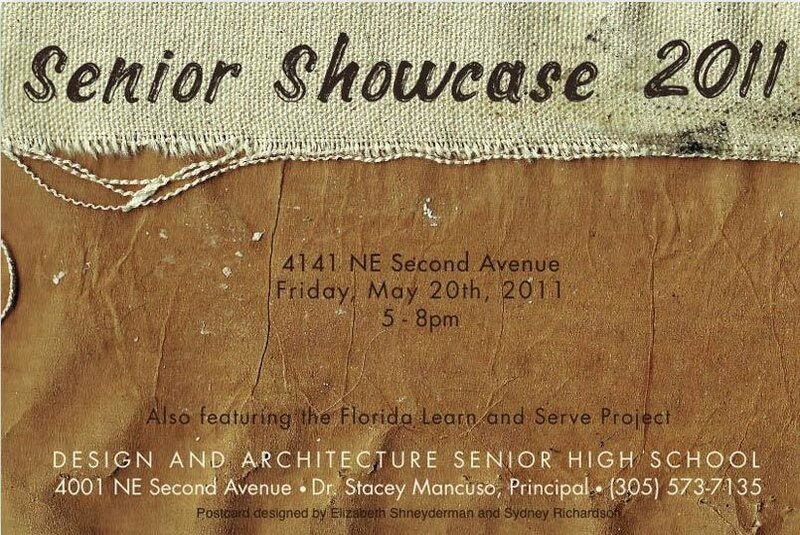 In 2004, 2005, and 2006 the senior class was invited to stage their own runway show at Miami Fashion Week.